While riding through the desert, Brian (Keir O’Donnell) finds a mass of tissue laying in the sands. When it moves showing life, he takes it back home. Back home Janet (Rachel Keller) mourns the loss of her father she just laid to rest earlier this day. When she gets a call from her recently separated boyfriend, she finds herself back at his house to see just what his crazy ramblings of finding a thing in the desert are all about. Some viewers require an explanation, back story and meaning behind everything they view. Those people will wish someone would explain to them what Diddie Wa Diddie means. In short film, you rarely find the answers. 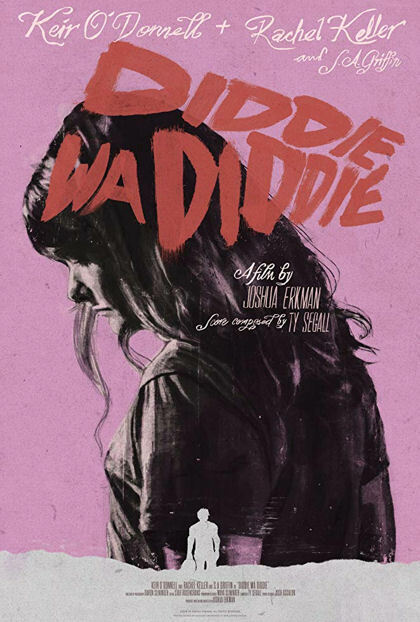 Joshua Erkman’s Diddie Wa Diddie is a nine minute, mass tissue grossness that builds intrigue and suspense to an abrupt ending that will leave you wanting more. The right kind of gross is always good in horror.